The Sounds of ZORRO® the Ballet! Other than dramatic all-original choreography, witty storytelling, and playful dance theater, Ballet Fantastique is featuring live music at ZORRO® The Ballet premiere! BFan is so excited to be working with incredibly talented music artists, the LA-based Latin-fusion band Incendio and virtuoso violinist-composer Kim Angelis. In fact, we are so excited that we wanted to share a little bit of background with you about our special guest artists before attending the premiere! Ballet Fantastique is happy to welcome back the LA-based Latin-fusion band Incendio (meaning “fire” in Italian, Portuguese, and Spanish). BFan last collaborated with them when the company toured to the Seattle area. Incendio just recently came across one of their many milestones: their eighth release– The Shape of Dreams. 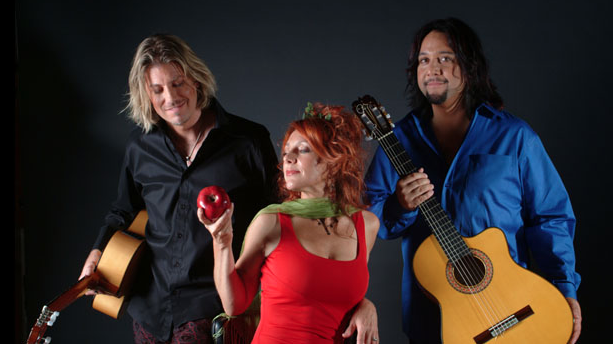 Incendio describes themselves as “instrumental world music.” Formed in 1999 by Jim Stubblefield, Jean-Pierre Durand and Liza Carbé, Incendio’s sound is a unique blend of classical, jazz, rock, flamenco, Celtic, and even bluegrass. Their music has been featured on The History Channel, A & E, Showtime and songs by its members have been used in video games like Far Cry 3 and popular movies like Bridesmaids. We are also excited to celebrate Incendio’s recent award for the 10th Annual Instrumental Album Vox Pop Winner! 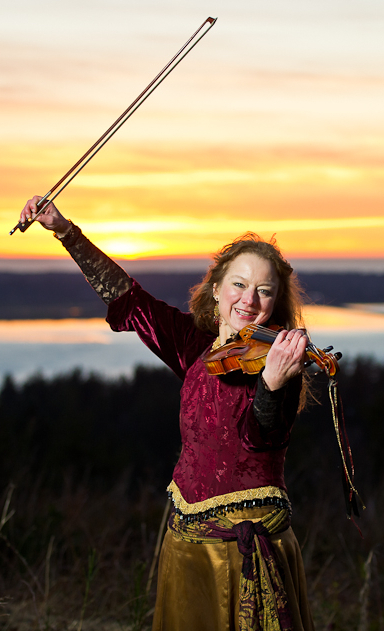 BFan is also happy to be collaborating with the Astoria-based, virtuoso violinist-composer Kim Angelis! Performing her unique brand of gypsy-flamenco contemporary string music all across the world, it has been featured at the Olympics and World Cup gymnastics events, in film, and on television! She was also named the winner of the “ASCAP Plus” award… TWICE! Kim’s music is built on a solid classical foundation, but the inspiration flows freely from the Romany Diaspora of Eastern Europe, Russia, and Spain. Her brilliant compositions showcase the beauty, power, and excitement of her playing. The combination of these two incredibly talented musical artists are going to make ZORRO® the Ballet a premiere you won’t want to miss! To purchase your tickets now, click here! $5 tickets for students made possible with support from the Oregon Cultural Trust. Click here to register your students now! This entry was posted in Ballet Fantastique, Company, Dance, Eugene, Event, Hult Center, Oregon, www.balletfantastique.org, ZORRO: The Ballet by Ballet Fantastique. Bookmark the permalink. Experience Ballet Fantastique's unmatched creativity and dramatic prowess. Comprised of 7 stunning dancers directed by mother-daughter team Donna and Hannah Bontrager, Ballet Fantastique presents productions full of sizzle and spice. Hailed as "la creme de la creme" (Eugene Weekly), Ballet Fantastique's all-original choreography infuses ballet with diverse new style, brave musical choices (from tango to Metallica), and passionate expression.